Third, take notice of the license plate number of the driver along with details of the vehicle including make, model and color. However, make sure you don’t compromise your own safety trying to obtain this information. Finally, pull over and call 911. Give the exact location of the vehicle, including the name of the road or cross streets and the direction the vehicle is traveling. Give a complete description of the vehicle and the manner in which the vehicle is being driven. Then leave the rest up to the heroes that work hard to make our roads safe. Chicago Taxi Reform Next? Drastic Changes Eminent! This month, Washington DC proposed a taxi reform, and Chicago seems to be next. Over the last several years, the complaints regarding quality of taxi service has been on the rise, and many groups have spoken out regarding the need for an overhaul. Below are some articles to get you up to speed. The District of Columbia Taxi-Cab Commission has announced a new fare structure for Washington DC. The initial charge (i.e. flag drop) will remain at the current $3.00; however the per-mile rate is being adjusted from $1.50 per mil to $2.16 a mile. (44% increase) The wait time rate is also being adjusted from $15 to $25 per hour. (66% increase) To offset the increase, many surcharges such as for luggage and additional passengers have been removed. One may assume this would be welcomed by the taxi companies and drivers. The previous rates, set after moving from a zone-based pricing to a meter-based pricing (in 2008), were criticized to have been set too low, causing taxi drivers to take significant hit in their incomes. DC was previously ranked 29th on TaxiFareFinder’s taxi rate ranking. The new rates? It should bring Washington DC from the current 29th place to…top 10. New restrictions on the status of the vehicle, such as age, condition, etc. New requirements on digital recording of trips, credit card equipment, GPS, etc. What do you guys think? With current issues with Uber taxi and Metro (DC subway) fare hike, Washington DC seems to be a happening place among the transportation-conscious. Don’t drink and drive. A designated driver is only a phone call away. As many of you know, one of primary missions of TaxiFareFinder is to make people familiar and comfortable taking taxis. Taking taxis should not be a foreign or scary concept. This is very important because taking taxis can save lives. 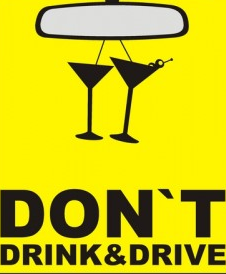 Here at TaxiFarefinder, we support campaigns and efforts to eliminate drunk driving. We work to raise awareness of the devastating causes of drunk driving, support those who’ve been affected by drunk driving and encourage people to make the right decisions when under the influence. Remember. A designated driver is only a phone call away. Call a Taxi! Hi, everyone, we have released additional enhancements to our site at TaxiFareFinder.com. 1) Traffic estimator – One of the factors that affects a taxi fare is the traffic conditions. TFF now estimates and displays different fares taking traffic into account. Simply enter your trip information (like you have in the past), and take a look at the left hand column. 2) New share/permalink buttons – When you want to share your results with friends, please try using the “Share” and “Permalink” buttons. They are right below fare estimates. 3) Cleaner more organized designs – As TFF handles more information, there is more to display! Therefore, we re-organized the results page. Please take a look.